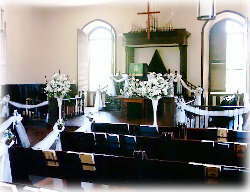 If you are planning your wedding from outside of Kauai, the required marriage counseling may be completed by another licensed or ordained clergy member of the United Church of Christ or one of its many sister churches around the world (Die Evangelische Kirche Deutschlands, Kyodan of Japan, etc.) or from a member church of the Conference on Church Union (PCUSA, ELCA, etc.). Please check with the church office on whether your choice of pastor outside of Kauai would be recognized at Waimea UCC for completing the counseling requirement. 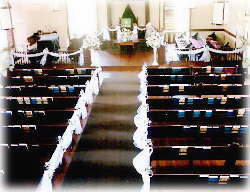 The church cannot directly recommend any wedding coordinator, reception site, florist, videographer or photographer for your wedding; however, all of these can be arranged through numerous websites offering these services. Please use your web search engine to find out more about weddings in Kauai. Even if you decide not to wed at Waimea UCC, we wish great blessings from Christ on your love for one another!